You’ve probably heard this famous poker saying before. Hopefully you didn’t pay it much attention, because it’s pretty much nonsense. Pocket Jacks is one of the strongest hands preflop and should be a welcome sight when the dealer tosses it your way. That said, a hand that’s earned it’s own phrase for being difficult (and been condemned by Norman Chad) is clearly worth writing about. Overplaying Jacks by getting it all-in preflop for too many big blinds or by 3-betting/4-betting in a spot better suited for a call. Playing too passively with Jacks by missing out on clear value 3-bets/4-bets. The truth is, for a lot of players pocket Jacks will often times either win a small pot or lose a big pot. Want to stop spewing stacks and missing value with Jacks? Read on for 3 tips for playing pocket Jacks. Stack depth is crucial when playing pocket Jacks. When in the 30 to 40 big blind range you’re almost always going to want to get it all-in with Jacks. There are only a few hands that beat you preflop and most players will cram it in at this stack depth with a relatively wide range. 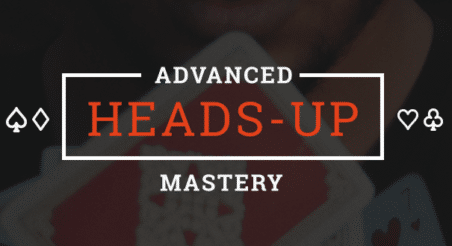 Let’s look at a specific example of when Jacks are a slam dunk all-in preflop. You are playing a $200 tournament in a casino with the blinds at 100/200 and effective stack depth at 7000 (35 BBs). The player on the Button 3-bets to 1100, the blinds fold and it’s back on you. Now let’s look at pocket Jacks’ equity against that range. 57% is pretty damn good. Not to mention the Button will fold to our shove with all of his bluff 3-bets, making our shove even more profitable. If you end up against QQ+ or lose a flip against AK, you got coolered and it was your time to go. Does that mean you should always get it in with pocket Jacks at this stack size? Well, most of the time, but not necessarily. Let’s go back to that same tournament example except this time you are UTG. It folds to middle position who puts in a 3-bet to 1000. The Cutoff 4-bets all-in and the the player on the Button goes all in behind him. Your Jacks sure have shriveled up! Particularly with that all-in from the Button, the chances you’re facing Aces or Kings is pretty high. Watch out for action heavy scenarios like that one with pocket Jacks and you may just save yourself a stack. When effective stacks creep above 40 BBs, you need to use a little more judgement. If it’s a late position battle, like Button vs Small Blind, you’ll still usually want to put in multiple raises. If early positions are involved, like UTG vs HiJack, proceed with some caution. Better to think it through before piling heaps of chips into the pot. Study your opponent, the situation and the bet size and make the best decision for that unique situation. This tip applies for any big hand, but it’s particularly helpful for pocket Jacks. You 3-bet and get one call. Now that an overcard and 3 diamonds have come, a lot more hands beat you, it’s time to proceed with caution. It is not the time to get stubborn and c-bet. I’m not saying you need to be scared they have you beat with a Queen, set or flush, but I am saying I would opt to check and analyze the hand as it progresses. Examine your opponent’s tendencies. Don’t be afraid of making big folds against tight players and hero calls against aggressive ones. Think about the situation. Give late position players less credit than early position players. Look at the bet size. If your opponent bets small, probably call them down. If they start betting really big, you might be beat. Folding Jacks, or any big hand, physically hurts sometimes. The high hopes you had for this hand now sit in the muck. It can be pretty frustrating, which brings us to the final tip. Folding or losing with Jacks can be very tilting, especially if you aren’t sure you made the right decision. A lot of inexperienced players will think “Wow if I can’t win with [INSERT GOOD HAND HERE] what can I win with! ?” and proceed to tilt off the rest of their chips making horrible decisions. But losing with big hands is a part of poker, and tilting is too. Your opponent’s will go through that too. What matters most is which player will handle that adversity better? Or you can be the player who smiles, buckles down and recovers over the rest of the session. There are times where a 6-bet shove with Jacks is appropriate just as there are times where it isn’t even worth a 3-bet. But I guess that isn’t quite as catchy.